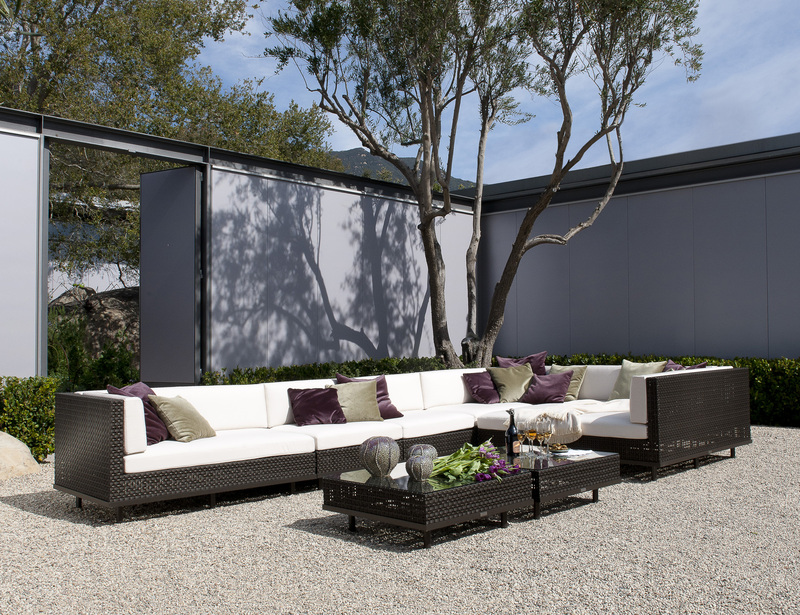 Boxwood, the latest addition to the Janus et Cie fiber collection. Part of the JANUS fiber line, it’s made of “Generation Next” weather-resistant fiber, which provides high-performance wear. Boxwood is available in two depths, with Left, Right and Center modules for the sofa, in addition to nine other designs including two tables, three chairs, and three sofa sizes. All are finished in a proprietary Mica JANUS fiber handwoven over an electrostatic powder-coated aluminum frame with a bronze finish. It’s a mouthful, but it promises this is a design that will stand the test of time! Remember the company’s been at it for nearly 35 years and so we so additional information on Janus et Cie lines please contact us or for additional information.